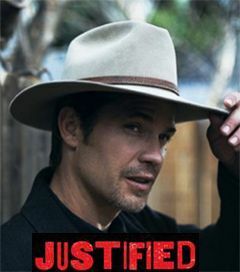 A Satisfying End to "Justified"
"Justified" with Timothy Olyphant ended its six year run on FX last night. I won't spoil it for those of you who haven't seen it yet -- I'll just say it was very good. No ambiguous nonsense like the bizarre end to the Sopranos.